You’re rocking, swaying and shushing away. And nothing. Nada. Nope, your baby just isn’t having it. You’ve been there yourself — C-R-A-N-K-Y! While you can knock back a glass of pinot and suddenly your day seems much brighter, your newborn can hardly do the same. No mom should ever expect her baby to be 100 percent fuss-free; even the absolutely, positively very best babies have their diva moments. When your newborn goes from cute to crank, check out these totally simple ways to soothe your fussy baby. 1. Do a holder switch-a-roo. It’s been 45 minutes of cradling your cranky kiddo. You’re swaying, bopping and ducking, weaving back and forth and acting like a human rocking chair. But, she’s still crying. The more she cries, the more frustrated you get. No judgment here — anyone dealing with a fussy baby completely by herself would (and probably should) be on the verge of hysterics. So take a break. Seriously. Baby can feel (and is reacting to) your on-the-verge attitude. Grab Dad, call up Grandma or ask your sister to stop over. Take a break while a fresh pair of arms takes on the role of super-soother. 2. Wash something. You’ve already got a mountain of dirty onesies filling the corner of the nursery. Why not put them to work and calm down your baby at the same time? That’s right, let your washer pull double duty. 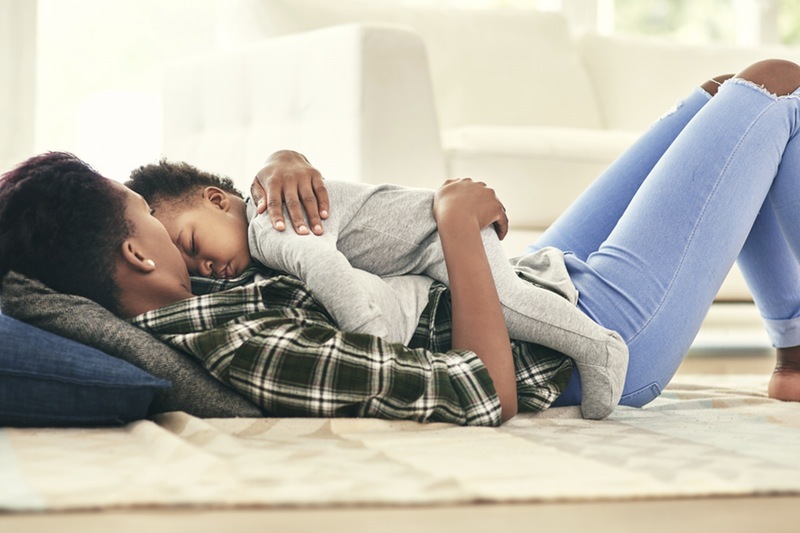 The whoosh and whir of your washer (not to mention the rumble, rumble, rumble) of the dryer are just enough noise to lull your baby off to dreamland. And bonus, she’ll have clean clothes too! 3. Turn down the lights. It’s possible that your little one is suffering from some over-stimulation. Dim the lights. Use a dimmer switch or close the shades (you don’t have to make the room completely dark). Hold your baby, rock her or walk her around the not-so-bright space. 4. Pack up. That is, pack your baby up — in a sling or a front-facing carrier. This keeps her close enough to (hopefully) calm her down, but it still lets you relax a bit. Your hands are free and some of the strain of carrying a baby around for what seem likes 12 hours in a row will all go away. 5. Soothe with scents. Lavender is said to be a calming, relaxing scent. That’s probably why the day spa you frequented in your pre-mommy days had it everywhere. That’s also why there are plenty of baby lotions that include the scent. Use an infant-friendly (read: made for babies) lavender lotion to gently massage baby’s legs, arms or tummy. 6. Go for a ride. Strap Little Miss Fussy into her car seat and go for a drive. It’s completely possible that the car’s motion will go one step beyond simply soothing her — it may actually make her fall asleep. Yay for nap time! 7. Go for a stroll. No car? No problem. You can get the same rocking effect with a ride in the stroller. Okay, maybe not exactly the same effect, but it’s still relaxing and soothing for your child. As a bonus, you get to sneak in some exercise. 8. Find her groove. Just because a song is melodic, soft and gentle on the ears doesn’t mean it will make your baby stop fussing. While you might want to shy away from those old Metallica mix tapes you saved from middle school, you can try a few less-loud choices. While metal might not be the ticket, you’ll find (through some trial and error) a magic track that mesmerizes baby. 9. Bounce around. You know that huge exercise ball that’s sitting in the corner of your family room just in case you might someday decide to use it? Well, today’s the day! No, not to get in a quick workout. Cuddle baby, snuggle her tight and gently bounce. 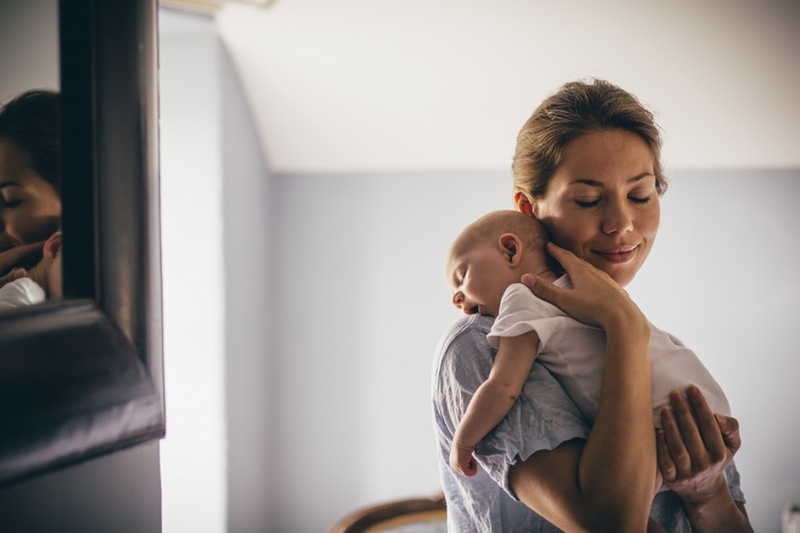 Avoid any jarring motions (too much bouncing might make baby a bit seasick or hurt her still-floppy neck), and stick to a soothing wave-like motion. 10. Take her temperature. Not directly. Unless your baby’s sick, you really don’t have to get out the thermometer. But you can make sure that she’s not too hot or too cold. Is your baby beyond bundled up? Take off a layer or two. Does she seem chilly? Swaddle her or put a cute pair of leggings on over that onesie! 11. Call the doctor. While fussiness can be completely normal, sometimes there is an actual cause. When nothing seems to soothe your baby, it’s time to get a pro’s opinion.